Born in St. Croix, Judah was taken to Charleston, South Carolina, in his early youth and became an American citizen. He practiced law and became the first professing Jew elected to the U.S. Senate in 1852 (he was reelected 1858). 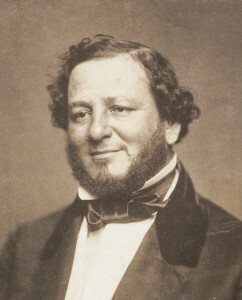 An advocate of slavery, he left the Senate when South Carolina seceded from the Union and was named attorney general in the Confederate government, then secretary of war, and, finally, secretary of state (February 7, 1862). He fled to England after the Civil War, set up a law practice there, and in 1872 rose to become a queen’s counsel.